Before buying a house, it’s always a good idea to check for the presence of bats in it. This way, you can then have the issue handled either before you buy the property or before you move in. Why is it important to get rid of the bats? Bats are genuinely harmless creatures; they rarely bite humans and spread diseases such as rabies in only very few instances. In fact, most of the time, the bats will strive to stay out of the way of any human beings. They also provide a very useful function; they eat insects around the home. This means that when you have bats around the home, they can actually be beneficial and cause very little harm. However, when they are in very large numbers, their presence could be a nuisance. For one, the droppings might result in you having to clean the house a lot more regularly in order to get rid of them. In addition to that, bat droppings tend to produce a musky smell that might make the home uncomfortable to live in, and might also be a source for some diseases such as some forms of pneumonia. For this reason, it would be a good idea for you to get rid of them especially when they are in large numbers. What are the benefits of having the problem checked out before you move in? When you have the problem assessed before you move in, it becomes much easier to handle them. For instance, if there were bat droppings all over the place, you could get a specialized cleaning company to thoroughly clean the house to get rid of them. The fact that the house will have been uninhabited at that point in time means that this process is likely to proceed much faster, and is likely to be a lot more effective. 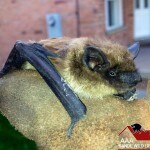 The process of bat removal is also likely to be much faster when you have an empty house. For instance, if it’s decided that fumigation has to be done to scare away the bats, the fact that you will not have moved in yet means that this is likely to be less of an inconvenience to you. What should the ideal pest control contractor do? When you get a contractor to get rid of the pests, they are supposed to first asses the problem. This means finding out where the bats hide, and how many of them there are. They will then employ measure of removing them that conform with your locality’s laws. For instance, there are some regions in which you are not allowed to kill bats, so this would need to be adhered to. Lastly, the contractor would then need to seal all entry points to make sure that no more bats can get into the house in future. The one thing you need to keep in mind is that when buying a house, it’s usually a good idea to assess whether or not it has a pest problem before committing to buy it. Bats are a particularly important pest that you need to watch out for using the guidelines above.